On this week’s edition of JAZZ LIVES!!! with CurtJazz, it will be all about the trumpets. With the birthdays of Roy Hargrove, Wynton Marsalis and Dizzy Gillespie all taking place this week, plus the Grammy winning jazz trumpeter Ashlin Parker, paying tribute to the underappreciated trumpet master Kenny Dorham, in The Jazz Arts Initiative’s JAZZ ROOM this Friday and Saturday, it is a perfect time for a Trumpet Tribute, from 6 pm – 9 pm, Thursday on CharlotteCommunityRadio (CLTCRadio). He was a trumpet player of exceptional gifts; a composer of jazz classics, such as “Blue Bossa” and a better than average vocalist. Nevertheless, McKinley Howard “Kenny” Dorham (1924-1972), often gets lost among the glut of trumpet stars of the 1950’s and 60’s. He was a member of Art Blakey’s original Jazz Messengers and he replaced Clifford Brown in Max Roach’s group after Brownie’s tragic death. Dorham’s recordings as a leader are some of the most enduring of the era, including Afro Cuban, Quiet Kenny, ‘Round About Midnight at the Café Bohemia and Una Mas. He also made memorable music as a sideman, especially with his frequent musical partner, tenor saxophonist Joe Henderson. Together, they made three classic Blue Note albums over a two year period, under Henderson’s name: Page One; Our Thing and In ‘n Out. Ashlin shared in the 2009 Grammy Award for Best Large Jazz Ensemble for the New Orleans Jazz Orchestra’s album, Book One. Following Book One, Ashlin has recorded with numerous artists, including Ellis Marsalis, Harold Battiste, Dmitry Mospan, James Partridge, Terence Blanchard and Jason Marsalis. Ashlin has been teaching various aspects of jazz, including improvisation, theory, repertoire, arranging, and performance preparation in private lessons, courses, summer institutes, jazz camps, and master classes for more than ten years. He has been leading the jazz trumpet studio in the Music Department at the University of New Orleans since January 2011. Be sure to join me on JAZZ LIVES!!! with CurtJazz, as we honor the musical legacy of Kenny Dorham and play the music of Wynton Marsalis, Dizzy Gillespie, Roy Hargrove and Ashlin Parker; Thursday, October 20; from 6 pm – 9 pm (EDT); on CLTCRadio. A New Orleans native, who has called Charlotte home for the past decade, Lonnie Davis and her husband, Ocie, have been credited by many with turning Charlotte into one of the fastest growing local jazz scenes in the U.S.
As president of the Jazz Arts Initiative (JAI), Lonnie has been instrumental in the creation of programs that educate local students; such as the Youth Jazz Workshops, the Jazz Arts Music Camp and the Jazz in Schools program. 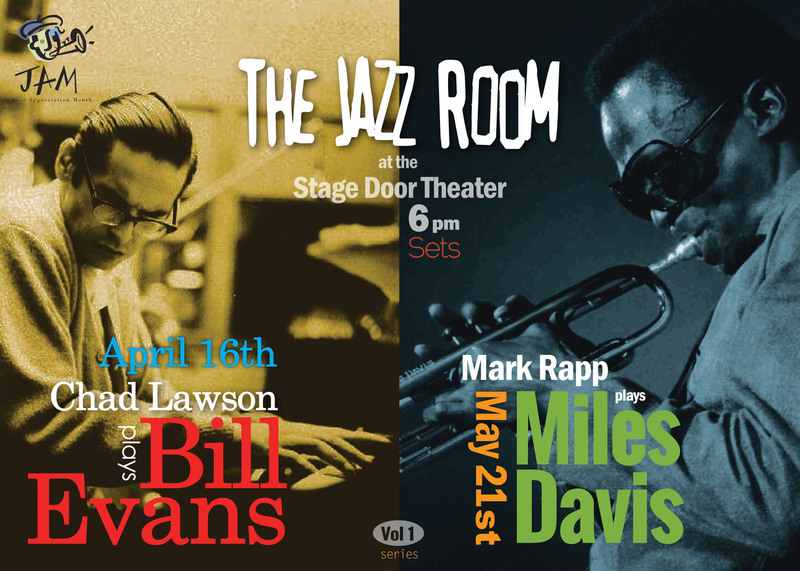 And, with the JAI’s highly acclaimed, regularly sold-out monthly series; The Jazz Room @ The Stage Door Theater; Lonnie and Ocie have created an oasis for parched jazz fans from around the country, who now call the Queen City home. Already, in this season, The Jazz Room’s seventh, there have been acclaimed tributes to Louis Armstrong and Sarah Vaughan as well as Jazz Room at the Symphony, a thrilling jazz meets classical performance with the Charlotte Symphony Orchestra, that brought the Knight Theatre audience to its feet. Lonnie Davis will join me during the second hour of JAZZ LIVES on Thursday, May 19, to talk about upcoming performances in The Jazz Room, such as bassist Tim Singh and the QC Latin Jazz Orchestra, paying tribute to Tito Puente (Friday, May 20). She will also share information about exciting upcoming JAI educational events, like the Jazz Arts Music Camp, in June, with guest artist in residence vibraphonist/drummer Jason Marsalis. And since we do celebrate the music of living jazz artists on JAZZ LIVES!! !, Lonnie and CurtJazz will discuss and play, music by some of the great musicians who call the Carolinas home. Before writing reviews, before the “Browsing the Bins” column, before Live365 and Curt’s Cafe Noir and before this blog, there was live jazz radio… The mid-90’s as a jazz DJ on what was t hen WPBX, on the East End of Long Island, was the best gig of my life, of any kind, one I reluctantly gave up, when I moved south almost sixteen years ago. As I signed off in October 2000, I always knew that I would be back one day. I just didn’t think that my son, who was less than a month old when I left, would be ready to start driving when that day came! Thursday, May 12; 6 pm – 9 pm (EDT). The premiere of my new radio show “JAZZ LIVES!!! with CurtJazz” on Charlotte Community Radio. The show will be a continuation of the passion that developed in me during the twelve years of Curt’s Cafe Noir – jazz by active musicians. We will play jazz from across the spectrum, from modern to bop to swing to avant-garde. So, what will all of the artists have in common? They are all still living and playing great jazz. I’ve said it before and I will keep saying it – For jazz to survive in the 21st century, we have got to open our ears to some of the great young musicians who are bringing some fresh ideas from their own 21st century experiences. This means that on JAZZ LIVES!! !, we will play Sonny Rollins AND Kamasi Washington. We will play Kenny Barron AND Robert Glasper. We will play Dave Holland AND Esperanza Spalding. And you will definitely hear from Mimi Jones and the marvelous ladies of Hot Tone Music. And, thanks to the tireless efforts of people like my friends Ocie and Lonnie Davis and the Jazz Arts Initiative, Charlotte is gaining a national reputation for producing some terrific young jazz players. So expect to also learn more about some of the QC’s contributions to jazz’s future, like Eleazar Shafer, Phillip Whack, Harvey Cummings II, Tim Singh; Troy Conn and Tim Scott, Jr. And a few amazing talents even younger than those I just mentioned, such as Sean Mason and Veronica Leahy. We are also blessed to have a studio that will be big enough for interviews and live performances and we plan to take advantage of that space for chats and mini concert sets with some of the greats and soon to be greats who live in or visit the Charlotte area. All we ask from you is to give us a listen. And let us know what you think – on Facebook (CurtJazz Radio); on Twitter (@curtjazz); or on Instagram (curtjazz). More to come over the days leading up to our premiere. Watch this space!!! In the dozen or so years that I’ve called Charlotte home, the city’s relationship with the music I love has been at best, tenuous. Big name artists will come to town occasionally for a night, on their way to somewhere else. There have been several clubs that have used the word “jazz” in their name but how much actual jazz was performed in them was often limited. I think that those involved liked the idea of being a “jazz club” and the aura of coolness that went with the moniker but most of the time what you got when you walked through the doors was rehashed instrumental funk and loud, second-rate R&B groups. Meanwhile most of us lovers of traditional jazz were left to either wait for the headliners to pass through or support these local so-called jazz clubs, hoping to be thrown an occaisonal bone for our patience. All the while wishing to have a room of our own, where we could hear the jazz of Miles, Diz, Monk and Newk. Thanks to Lonnie Davis and the great people of the Jazz Arts Initiative (JAI) of Charlotte, our patience has been rewarded. Last month the JAI premiered “THE JAZZ ROOM”, which for now is occurring on the 3rd Tuesday of every month at the Stage Door Theater; a black box space in the Blumenthal Performing Arts Center in Charlotte’s Uptown business district. Through the magic of stagecraft, the space is transformed into an elegant jazz club, complete with candlelit tables in the front of the room and general admission seating toward the rear. The concerts begin at 6 pm, allowing those who are getting off from work in the area to come in after a hard day, have a drink and hear some great jazz played by some of the finest musicians that this region has to offer. Tickets for each event are currently a very reasonable $10. The series got off to a great start in April with pianist Chad Lawson paying an outstanding tribute to the music of Bill Evans before a sold out and very enthusiastic audience. The series continues on May 21 with trumpeter Mark Rapp leading a quintet, playing the music of Miles Davis. This performance is already nearly sold out. 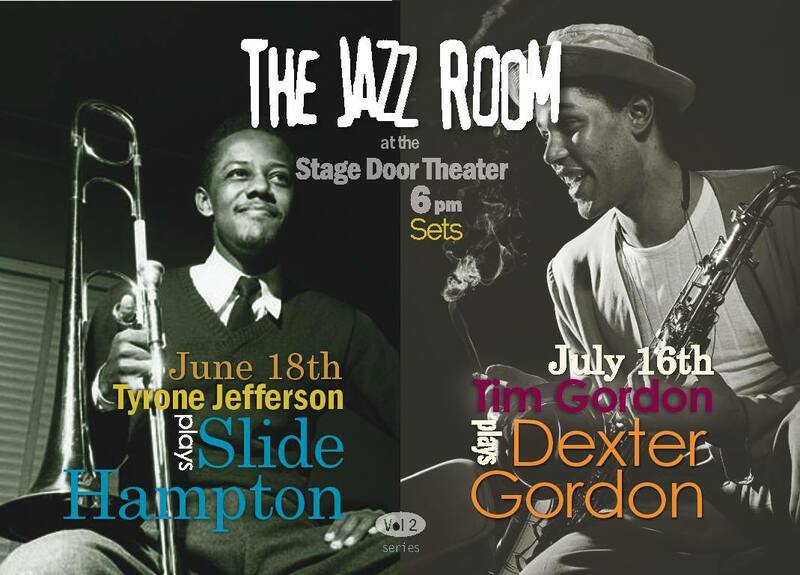 The next two dates have also been announced with trombonist Tyrone Jefferson in a tribute to Slide Hampton on June 18 and saxophonist Tim Gordon honoring Dexter Gordon (no relation) on July 16th. Would we like for THE JAZZ ROOM to be open more than once a month? Of course; but let’s face it, you’ve got to crawl before you walk or run. Any kind of jazz series, contemporary or traditional, is a tough sell in this economy so building an audience incrementally is a wise business model. Right now it seems as if Ms. Davis and the JAI may be onto something which will work in the long run and we Charlotteans who love jazz are very, very grateful. Kudos to Lonnie, Ocie, Glyn and all of those in the leadership of the JAI. By the way the onstage MC at THE JAZZ ROOM is a grizzled veteran jazz radio DJ/magazine columnist/blogger named Curtis Davenport. Please try to forgive his corny jokes; he writes his own material. For more information on the JAI and THE JAZZ ROOM, visit the JAI Website. To purchase tickets for any of the upcoming JAZZ ROOM events, go to Carolina Tix.